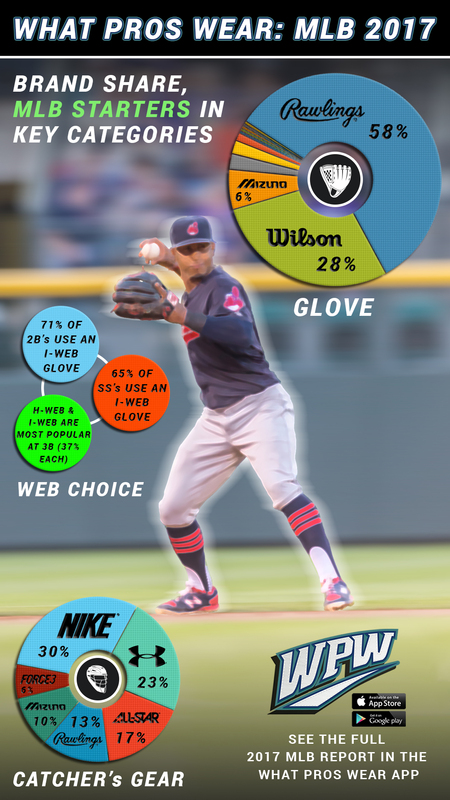 What Pros Wear MLB Gloves 2017 - What Gloves Do Pros Wear? 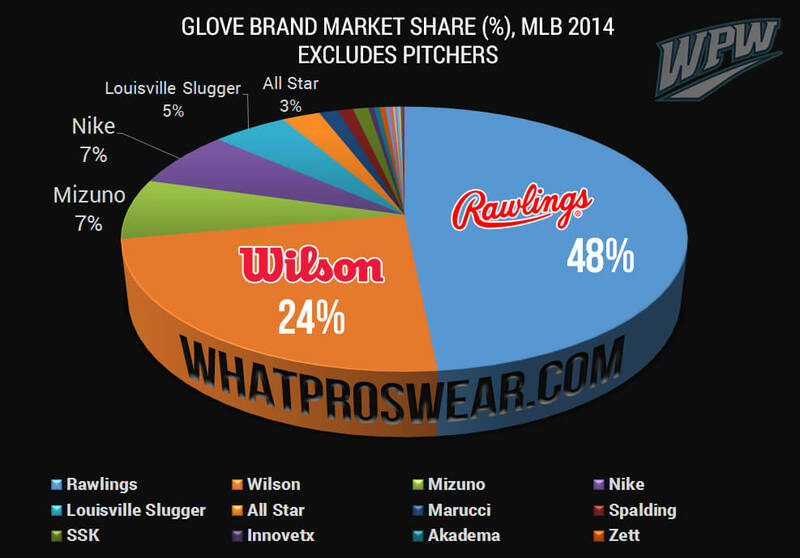 Since 2013 we’ve been tracking the gloves of Major League Baseball (MLB). In 2013 and 2014, it was every player, and from 2015 on, we honed in on the brand and web choice of every starting position player, based on Baseball-Reference.com team stats. Below is our MLB Gloves 2017 report. Industry experts pay for this data, and if you read on, you will know more about MLB gloves than you could have ever imagined. Before we get started, what glove brand do you wear? Here’s a look at the last four years, showing each brand as a percentage of the market. Jose Altuve wore a Louisville Slugger glove in 2013, along with 7% of the league. In 2017, one position player, Ben Revere, still wore Louisville Slugger leather. When Bryce Harper first got the call in 2013, he wore an Akadema AMR 34 glove. You can see in the top right that Rawlings held their ground year-over-year, still the choice of 58% of the league’s starting position players. Wilson also held steady, gaining one percentage point to 28% of all MLB starters. Since 2013 when we started tracking, its always been those two at the top, and that doesn’t figure to change anytime soon. In the infield, Rawlings’ number rises to 61%, while Wilson’s also rises to 32%. The also-rans in the category include Mizuno who really is the only other major player at 6% of the league. All-Star had six total gloves, five of which were worn by catchers (Odubel Herrera wears an All-Star Trap in the outfield). Onesies and twosies from Nike, Marucci, 44Pro, SSK, Louisville Slugger, Adidas, and Akadema round out the league. 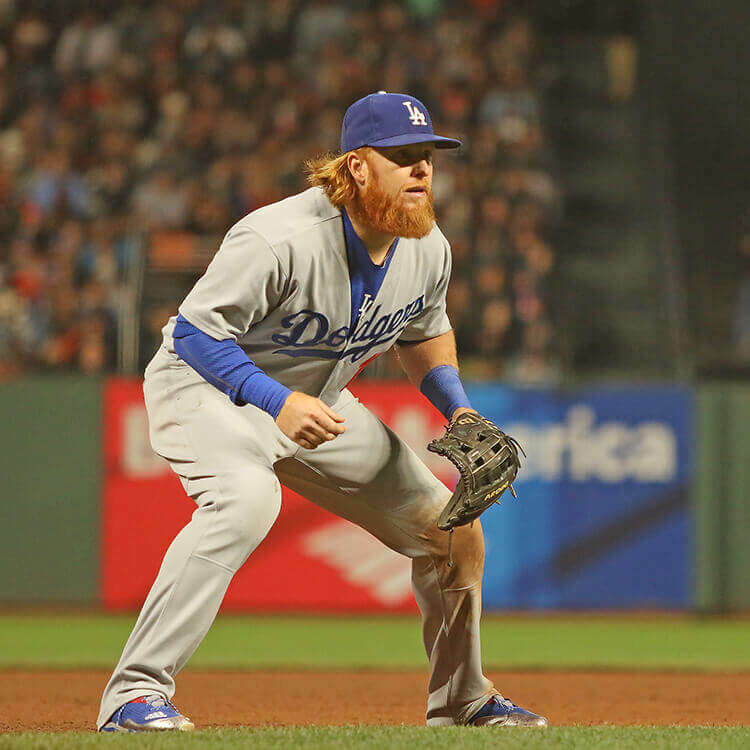 First base is dominated by the single post, worn by 87% of the league. 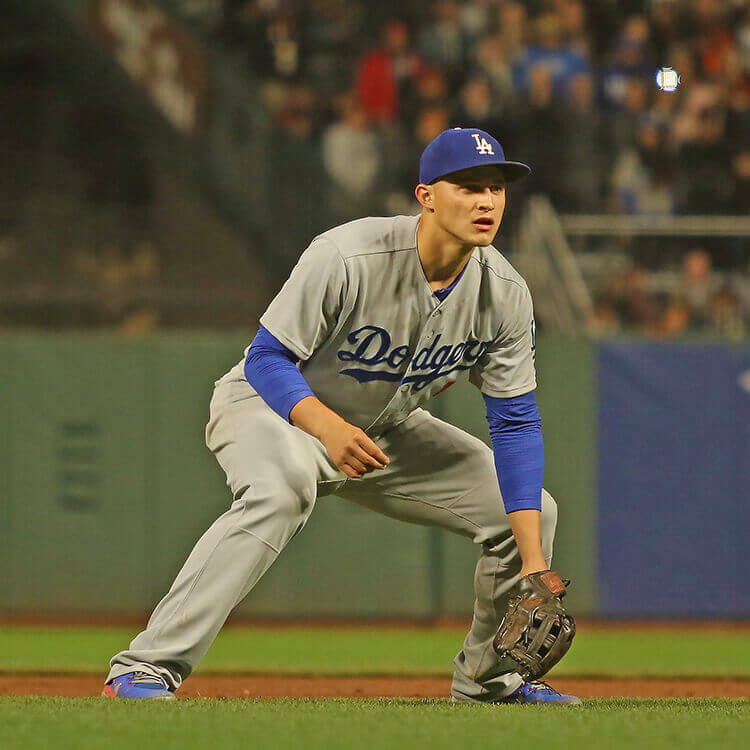 Which first base glove should you buy? 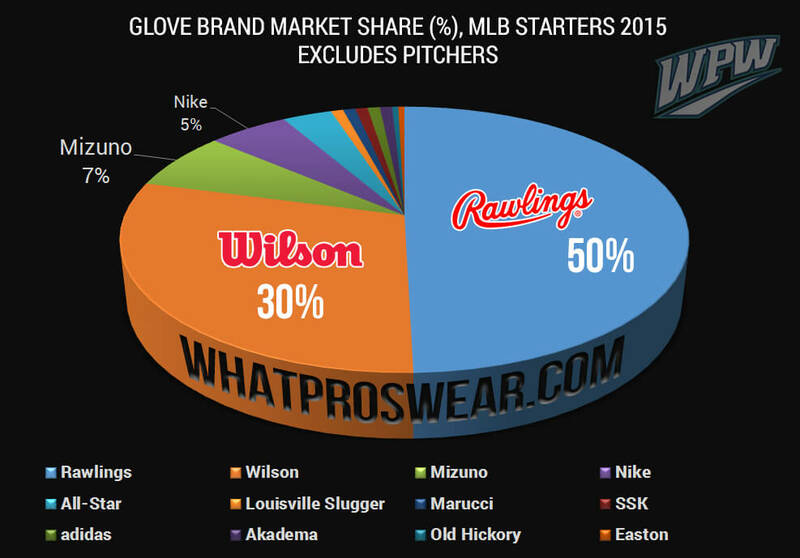 The most popular glove for first basemen is a Rawlings with a single post web, worn by half the starters in the MLB. A good one to go for is Paul Goldschmidt’s PRODCT, which you can shop here. The second most popular first basemen’s mitt is a Wilson single post, and Wilson’s 2800 model is a great bet, available here. 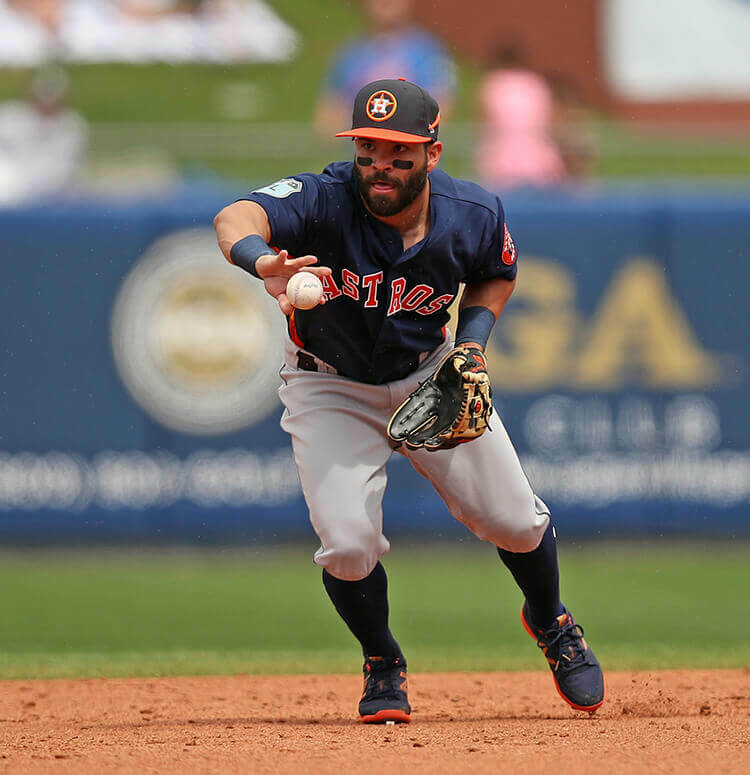 Despite the fact that we saw some big names like Jose Altuve and Dustin Pedroia working in the single post at second base, the true favorite at the position is still the I-Web. 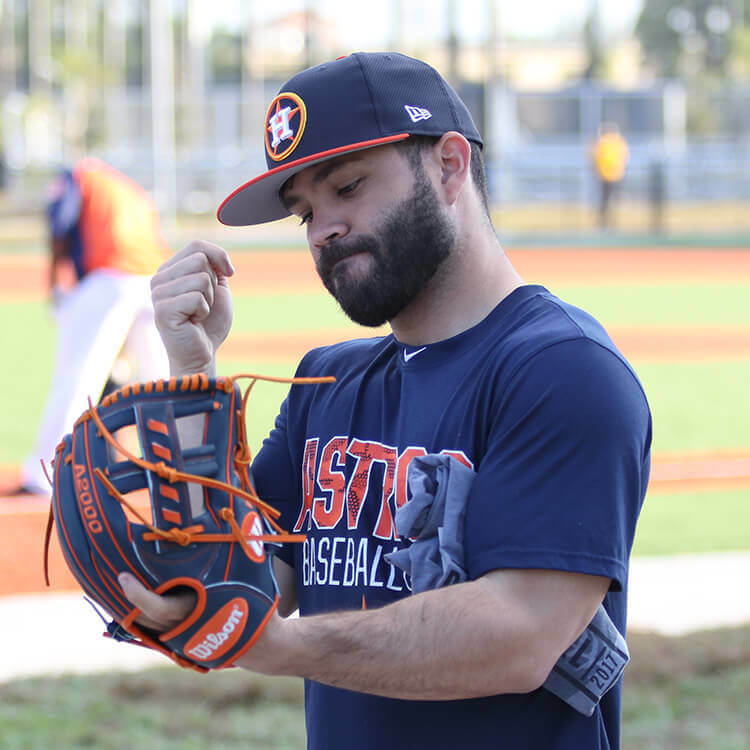 Even Altuve, when it was game time, went back to the I-Web. 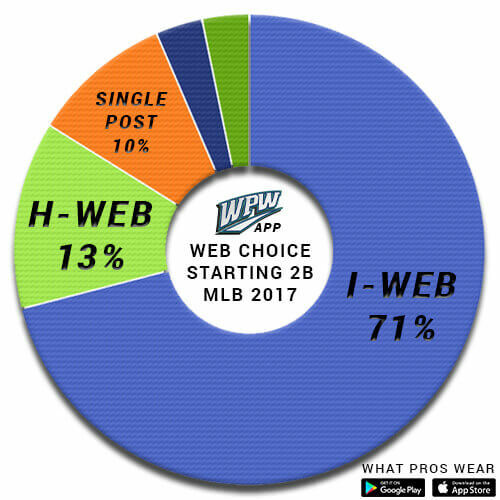 In total, 71% of second basemen wore an I-Web glove in 2017, and of that 71%, more than half wore a Wilson, making the Wilson I-Web (called an H-Web by Wilson) the most popular choice at 2B. 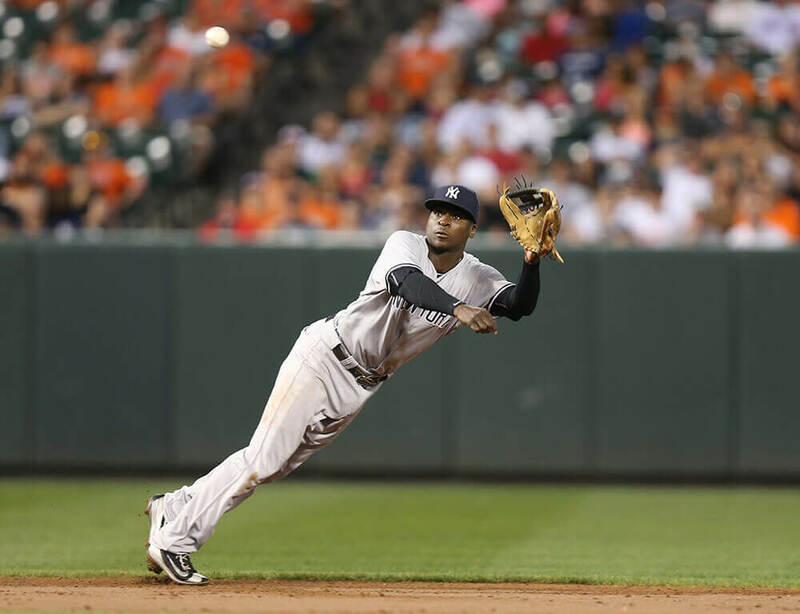 Which second base glove should you buy? 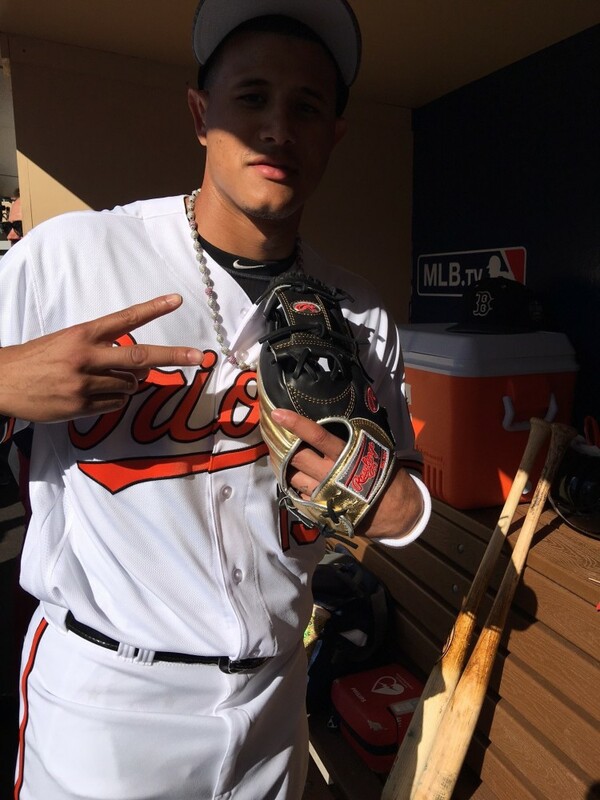 The 1786 I-Web is Wilson’s top model in the MLB and in the amateur ranks, which you can shop in many colorways here. 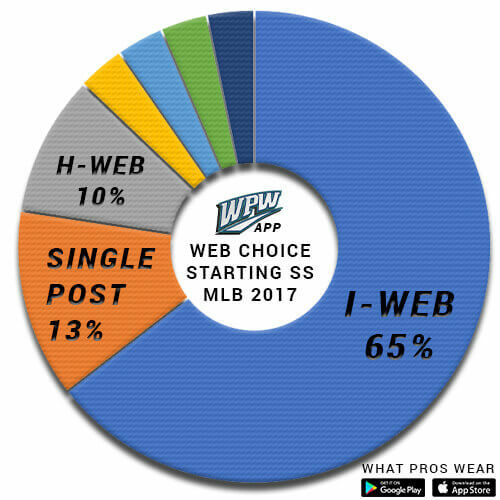 Whereas in years past, shortstop has had more variation, in 2017, 2B and SS web choice was nearly identical, and yet again heavily in favor of the I-Web. 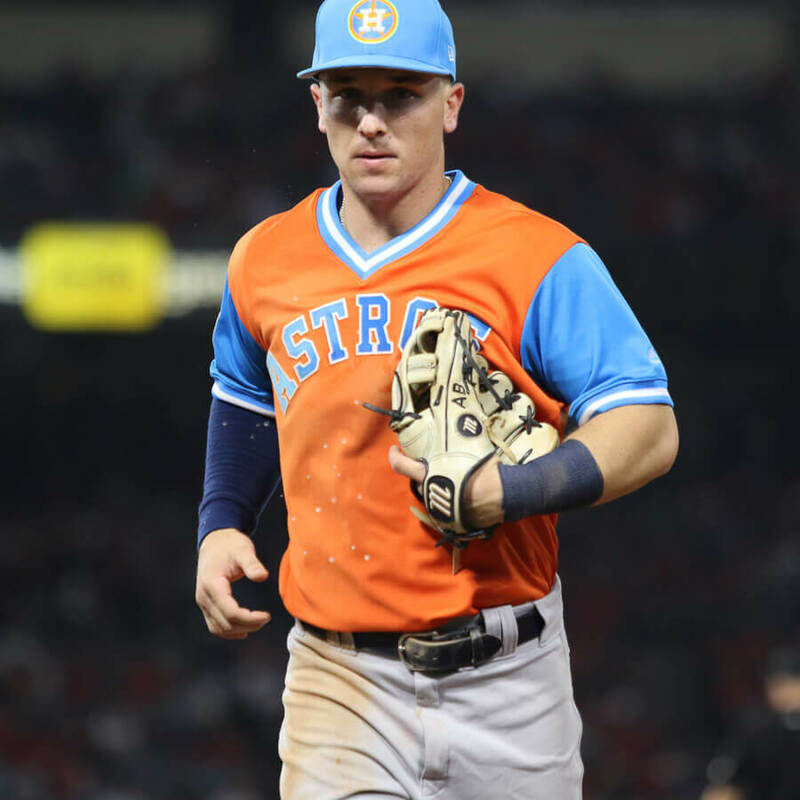 Alternatively, WPW profiled players like Corey Seager, Xander Bogaerts, and Brandon Crawford continue to champion the H-Web from Rawlings, while guys like Carlos Correa and Trea Turner prefer the single post. 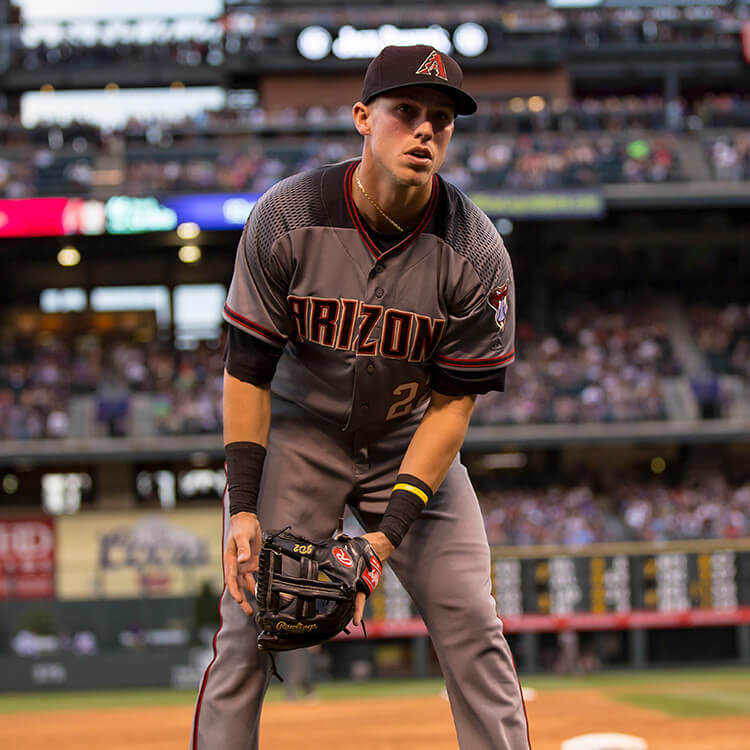 Which shortstop glove should you buy? 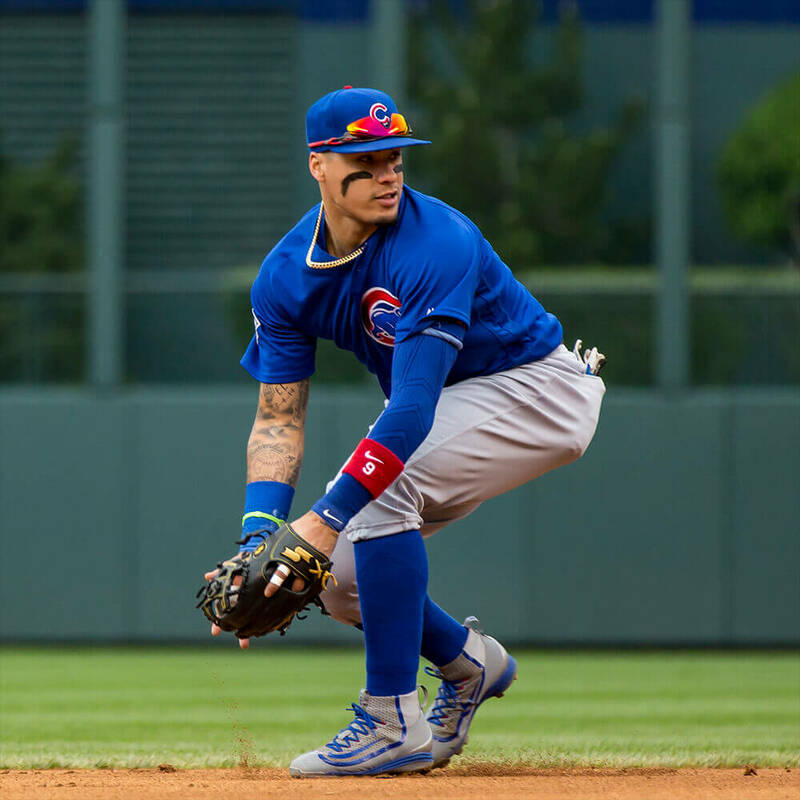 68% of MLB starting shortstops wear Rawlings, most of which wear the I-Web, so we’d recommend shopping the many Rawlings I-Web color options at this link. Heart of the Hide and Pro Preferred are the leather choices if you’re looking for a premium glove. Third base is historically a much more evenly distributed position web-wise, and 2017 is no different. 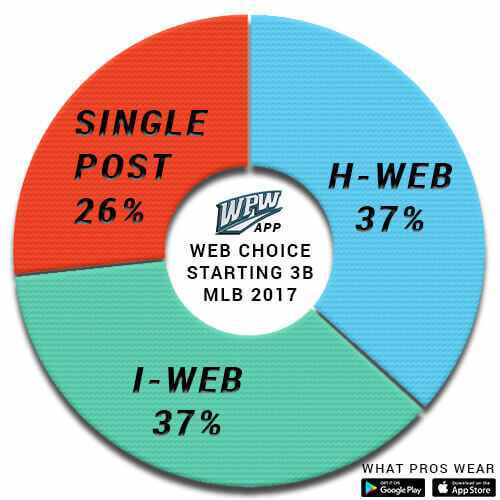 The H-Web and I-Web shared the lead in 2017, each used by 37% of MLB starting third basemen, followed strongly by the single post web, worn by 26% of MLB’s starting three-baggers. 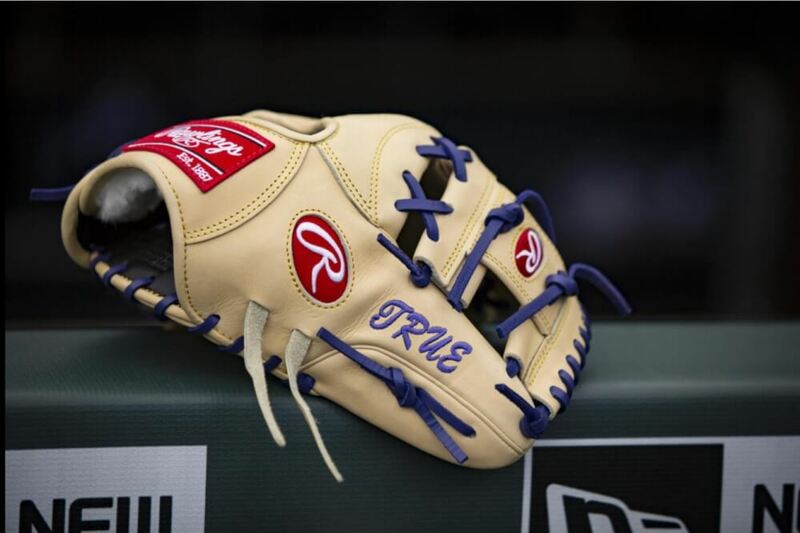 Which third base glove should I buy? For its large pocket and length, WPW suggests the Rawlings Single Post. 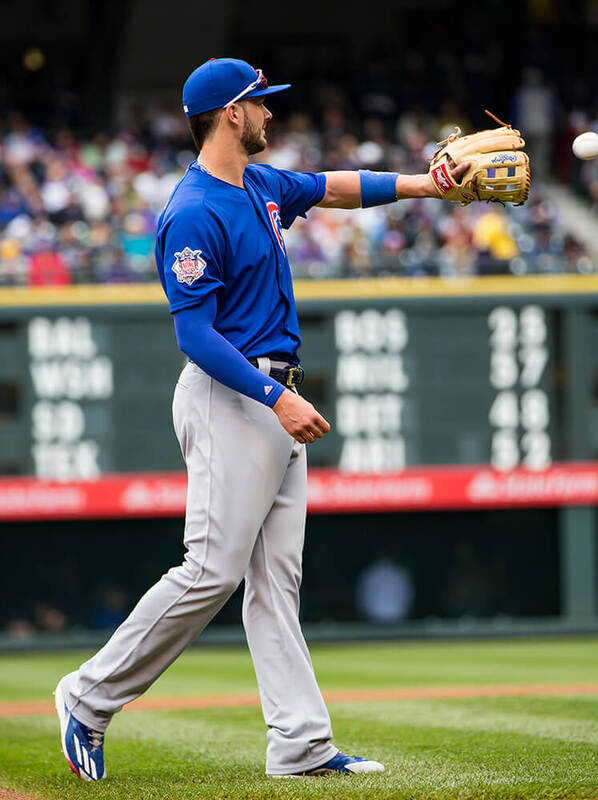 It will break in flatter (Tulo style) and you should be able to snag some hot shots with confidence. Shop the Rawlings Single Post options here. The outfield position is dominated by the H-Web just like the infield is dominated by the I-Web. Though Mike Trout and Kole Calhoun roam the Anaheim outfield with trap webs, they are the minority. 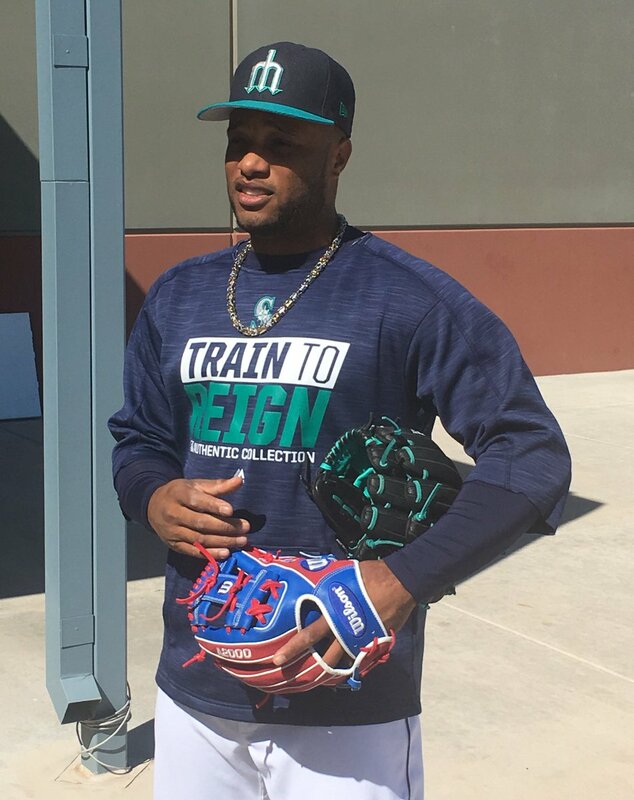 Only 14% of starting outfielders wear the trap web made famous by Ken Griffey, Jr. (and before that, Stan Musial). 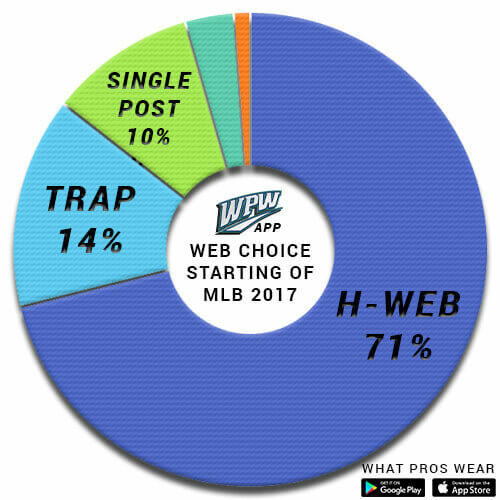 The vast majority (71%) of MLB starting outfielders wear an H-Web. 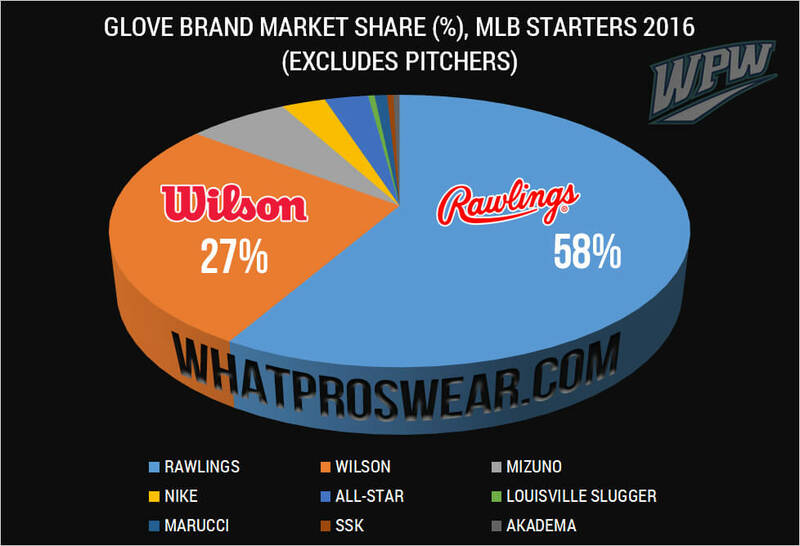 As far as brand choice, 58% of starting MLB outfielders wear Rawlings, followed by Wilson at 27%. These numbers are basically identical to the overall league numbers. 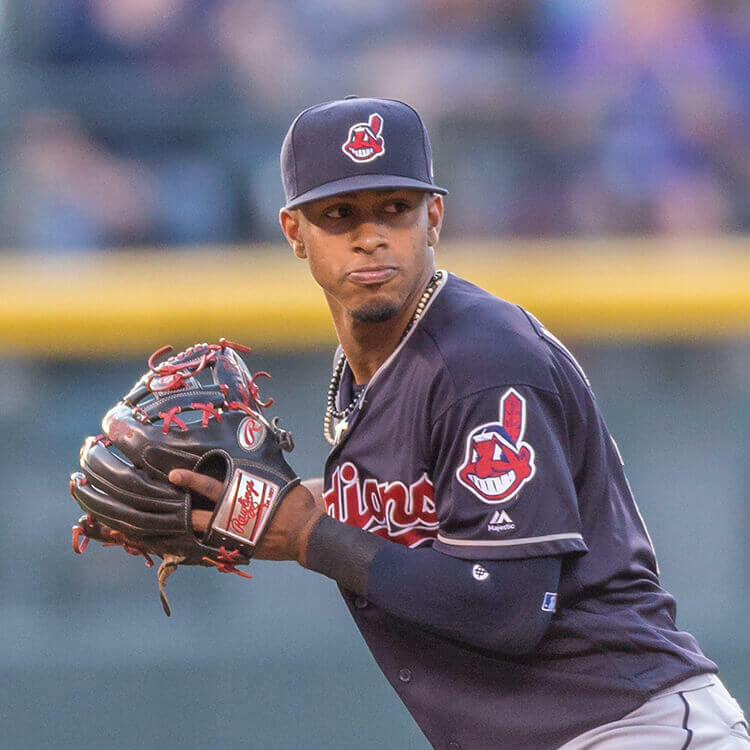 Which outfield glove should you buy? The Rawlings H-Web is the most popular MLB outfield glove, worn by 44% of starting OFers. That’s the glove to buy, and you can shop it here.